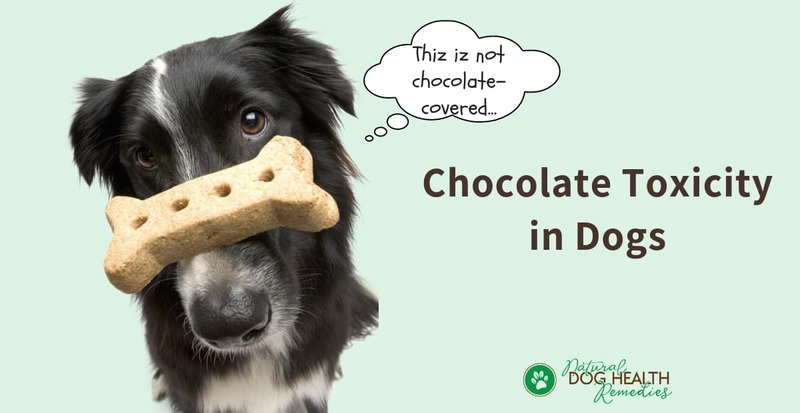 Chocolate (especially dark chocolate) may be beneficial to our health, but it is poisonous to our dogs. And just as there are a lot of chocoholics among us, dogs also find chocolate highly palatable! Once they have had a taste of it, they crave for more. Because of this, we as dog parents have to be very careful not to let our dogs get their paws on any chocolate. Both theobromine and caffeine belong to a class of alkaloid molecules known as methylxanthines, which are naturally occurring stimulants. Dogs (and other pet animals such as cats and horses) metabolize theobromine much more slowly than humans. As a result, various organs in these animals (the heart, kidneys, and central nervous system) can be adversely affected. Not all chocolates are the same - different types of chocolate contain different amounts of theobromine. Generally speaking, the higher the quality of the chocolate, the higher amount of theobromine it contains. Dark chocolates contain higher levels of theobromine than milk chocolates, and theobromine levels in white chocolates are minimal and insignificant. White chocolate - an insignificant source of methylxanthines. How Much Chocolate is Toxic to Dogs? It all depends on the type of chocolate, as well as the size and the general health condition of the dog. Perhaps the following chart can put into perspective as to how much of which type of chocolate a dog has to eat to cause toxicity. The first column shows the chocolate type; the second column shows the toxic dose per pound of body weight; the third and fourth columns tell you approximately how much chocolate a 10-pound dog and a 20-pound dog has to eat to get sick, respectively. As you can see, it takes a lot of white chocolate to cause chocolate toxicity in dogs. However, just 2 ounces of Baker's chocolate can make a 20-pound dog very sick! Signs and symptoms of chocolate poisoning in dogs are most commonly seen within hours after the dog ate chocolate. Death is generally due to cardiac arrhythmias, hyperthermia, or respiratory failure. If you notice that your dog has just ingested chocolate, or if your dog is showing early signs of chocolate poisoning and you think he has consumed some chocolate (you may see telltale signs such as bits and pieces of chocolate wrappings on the floor), induce vomiting immediately. To make your dog throw up, make a 50/50 mix of hydrogen peroxide (3%) and water. The dose is 1 teaspoon per 10 pounds of body weight. Use a needle-less syringe to get the mixture down your dog's throat. Alternatively, add a bit of honey to make the mixture sweet and most dogs will drink it down willingly. Then walk your dog around for a few minutes to get some movement, and usually vomiting occurs within 15 minutes. If it does not work within 15 minutes, repeat the procedure for a second dose. However, if after 15 minutes and your dog still does not vomit, do not repeat the procedure. Call your veterinarian instead. 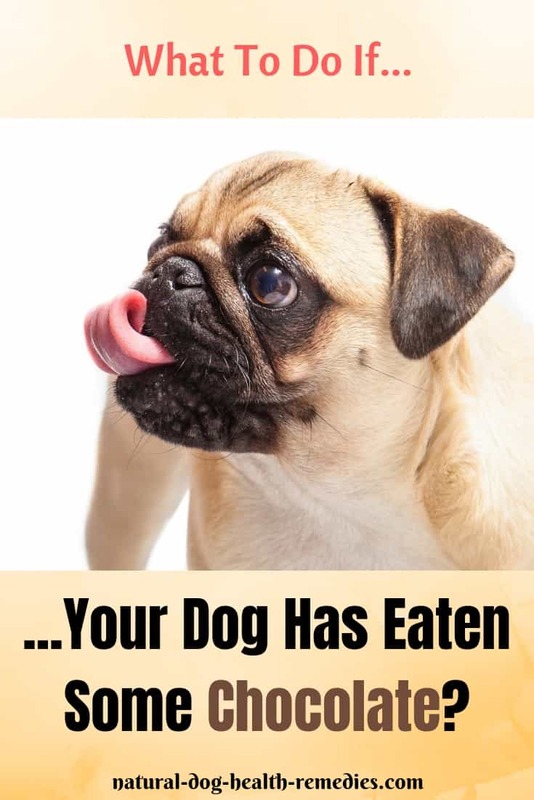 If your dog did throw up after you had induced vomiting, feed him activated granular charcoal (food grade) to absorb any remaining toxins inside the body. When should we NOT induce vomiting? If more than 2 hours have passed before you notice that your dog might have eaten some chocolate, or if your dog is already showing some advanced signs and symptoms of poisoning (e.g. panting, seizures), DO NOT induce vomiting. Get emergency veterinary treatment at once. If you are in the USA, you may also want to call the ASPCA Animal Poison Control Center hotline (888-426-4435) for help. Did you know that grapes and raisins are also toxic to dogs?